The advances in marine electronics systems over the last 10 years have been nothing short of spectacular with the world of marine communications and navigation destined to a total reliance on satellites. The NAVSTAR Global Positioning System (GPS) service is fully operational, with a European system coming. 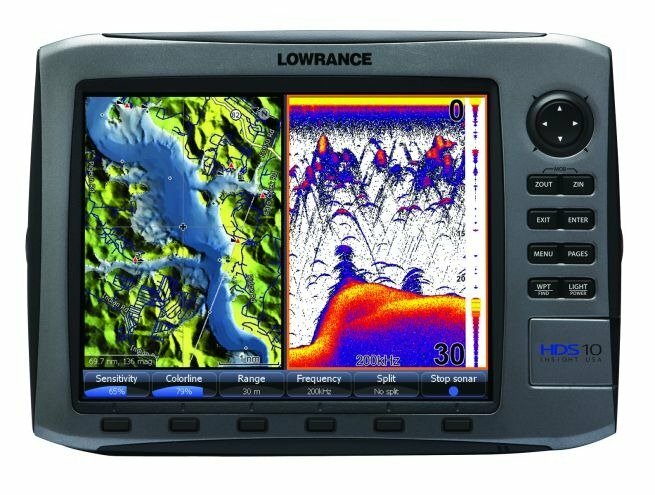 GPS equipment prices have dropped to consumer electronics levels, you can get a GPS at West Marine for under $100. The weather forecasts are available through NAVTEX in many areas. INMARSAT has most commercial and large pleasure vessels equipped with satellite communications, IRIDIUM and other systems offer satellite communications options. You can email via HF radio or use satellite to take your emails. You get an IPad app and do most anything as well. For entertainment there is satellite television and radio systems such as Sirius. Boat instrumentation including radar, fishfinders and plotters are now running on networks, and fiber optics are used, as well as leaps in computing power enable the operation of split screen radar and chart plotters. All of these new systems and useful information to using them are explained in this website along with my books for sailing and motor boats. Looking for my book and equipment? 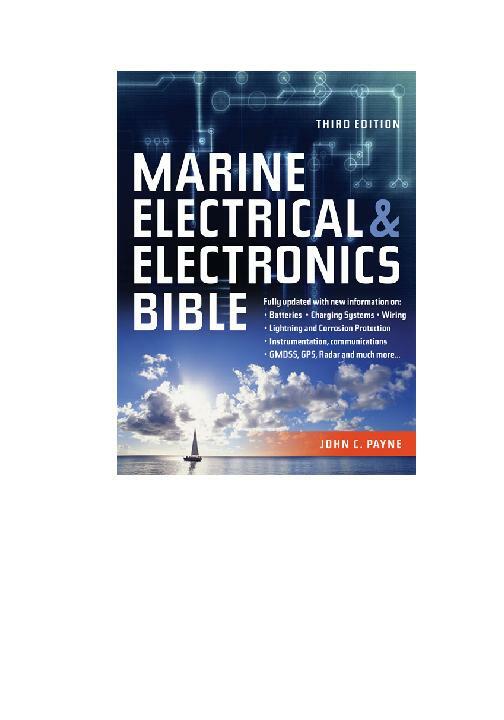 Modern marine-electronics are now very cheap and reliable. The one inherent danger of course is that many boaters are sailing away without the knowledge to maintain the equipment, understand how to use it properly, and worse still without the skills to cope when the systems do fail. All these high technology marine-electronics systems are in the end only aids to navigational for use in conjunction with properly corrected charts, good seamanship and a seaworthy vessel. Always maintain a plot on a current navigation chart. Double check your navigation receiver fixes with compass bearings on coastal passages. This site is full of useful information to make your boating safer and more enjoyable. The single greatest cause of marine-electronics problems is that of improperly installed equipment. While most equipment is effectively plug-and-play, the routing and installation of cables is critical to performance. Interference and performance problems are frequent due to poor installation. Another common problem is selection of equipment unsuited to the application, and a typical example is the installation of incorrectly rated autopilots. Making the correct choices is crucial to safe and reliable boating. Marine electronics manufacturers such as Raymarine and leading suppliers such as West Marine offer good support information for making the correct decisions, use them and choose wisely and save money. GMDSS has transformed the maritime communications area, and many smaller boats and cruising yachts are still trying to get plugged into the international standard distress system. For more details on There is much to know about GMDSS COMMUNICATION so click on the link and learn. GMDSS has changed a lot of things, with DSC radios now almost standard on smaller boats, and cell phones getting widespread if not controversial when used. For more on DSC VHF RADIO for all you need to know. ARE YOU USING HAM ON YOUR CRUISING YACHT? THOUSANDS ARE! Ham has become a logical choice now that GMDSS has virtually eliminated HF/SSB voice communications. For more on HAM RADIO click on the link for all useful maritime mobile frequencies and HAM net information you will ever need to go cruising. PART 1 of this 3 Part Series on the Space Weather and GPS, and Marine Communications. For more on GPS & SPACE WEATHER PART 1 click on the link to read about the affects of space weather on marine communications and GPS. PART 2 of this 3 Part Series on the Space Weather and GPS, and Marine Communications For more on GPS & SPACE WEATHER PART 2 click on the link. PART 3 of this 3 Part Series on the Space Weather and GPS, and Marine Communications. For more on GPS & SPACE WEATHER PART 3 click on the link. ARE YOU UP TO DATE WITH THE CHANGES? No change comes without other changes. One outcome of all this change is that HF/SSB shore stations have largely ceased operations in most main western countries, along with Morse. The Global Maritime Distress and Safety System (GMDSS) is now operational with far reaching ramifications to all boat owners. Many systems only affordable or suitable for large commercial vessels are now coming on the market packaged for smaller vessels. 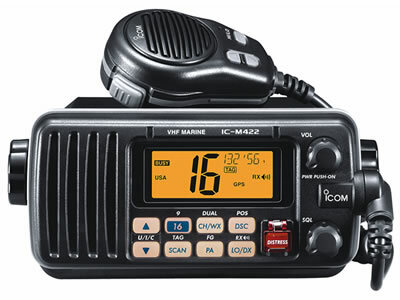 Typical examples of this are DSC VHF radios. PART 1 of this 3 Part Series on RFI and Interference problem solving on your GPS, radios and marine electronics For more on RFI INTERFERENCE PART 1 click on the link. PART 2 of this 3 Part Series on RFI and Interference problem solving on your GPS, marine electronics and radios. For more on RFI INTERFERENCE PART 2 click on the link for all you need to know about interference, noise and RFI on your marine electronics and communications systems. PART 3 of this 3 Part Series on RFI and Interference problem solving on your GPS, marine electronics and radios. For more on RFI INTERFERENCE PART 3 click on the link.